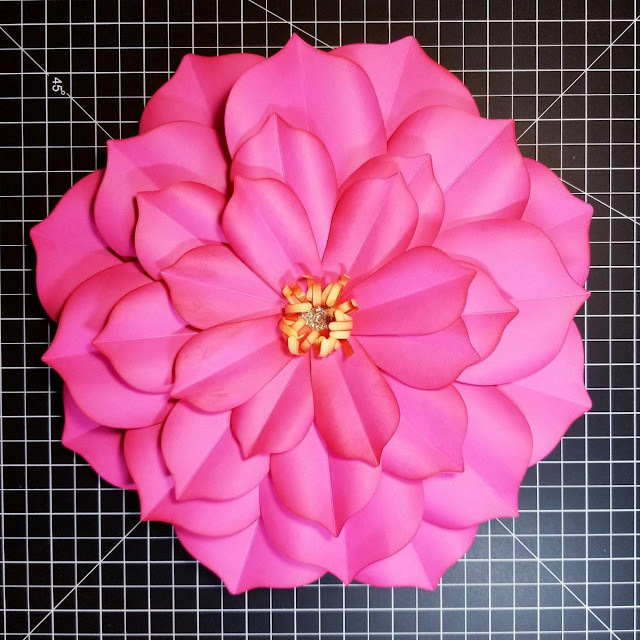 I am excited to be back today with my second blog post for CutCardstock and I have a fun project to share with you – a beautiful paper lotus flower! 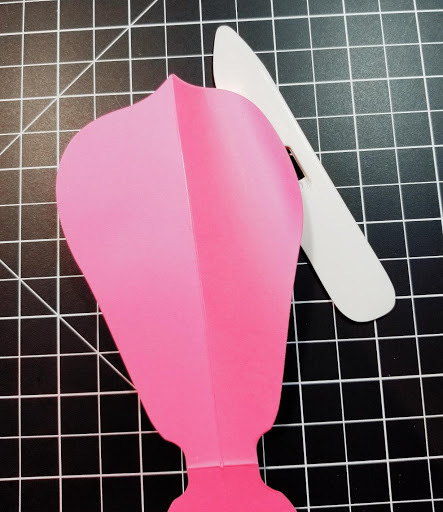 I started with choosing the cardstock type and color and decided to use Tickled Pink I recently received in my order from CutCardstock. 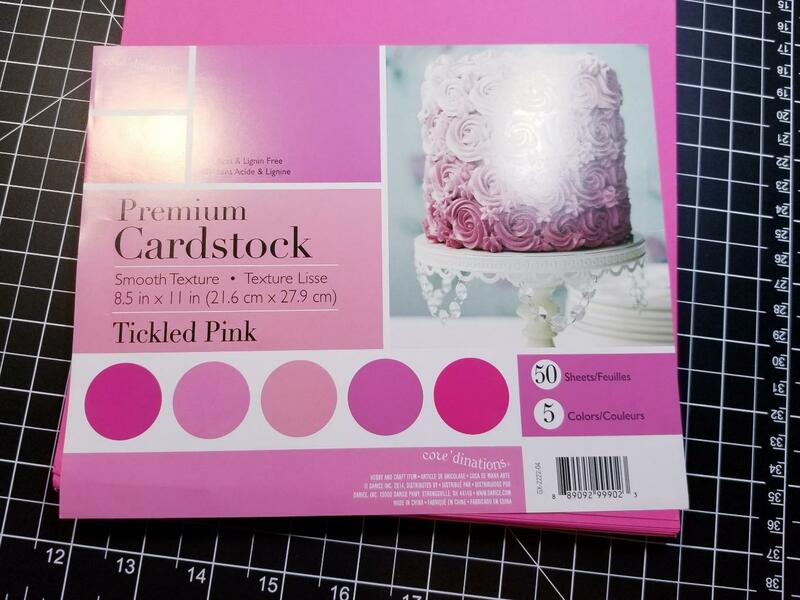 This cardstock pack comes in 5 shades of pink, is 65lb weight and is fantastic for paper projects! 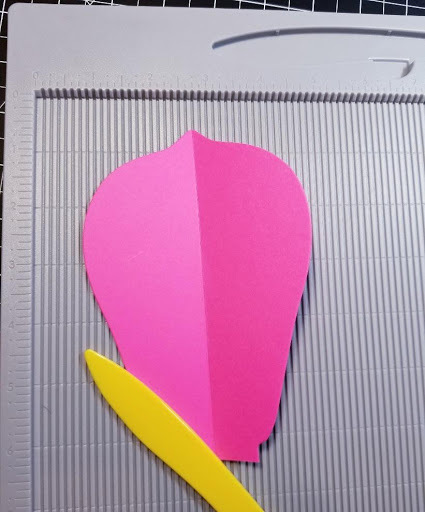 I was contemplating using several shades of pink for this project but stuck to one shade and started to die cut the petals. Dies I used are from Sizzix – David Tutera Framelits – paper flowers. Each petal was cut 4 times with folded paper (petals are connected in the middle – the dies create 8 petals in each size). Once all the pieces were cut, they were scored in the middle and shaded with Distress Ink in Festive Berries for a more realistic look. The photo below shows both before and after shading. 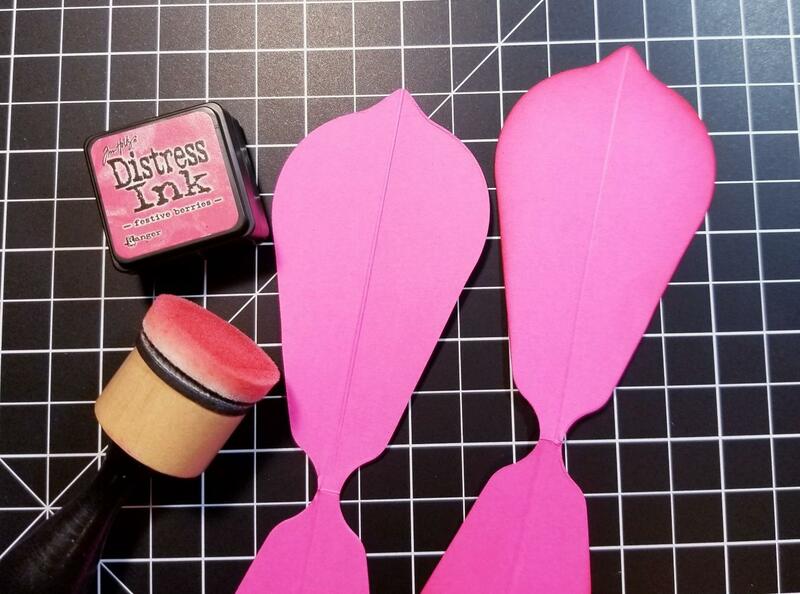 Once I was done with inking the petals, I started curling the edges using my bone folder. I believe Sizzix offers a tool for curling petals but I don’t make paper flowers very often so the bone folder did the job! Once all my petals were curled it was time to curl up the stamen. 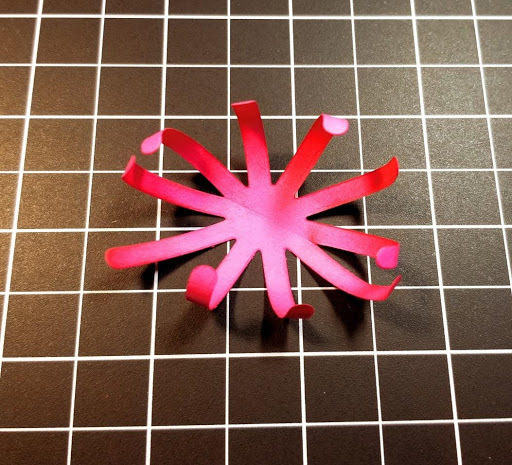 (stamen was die cut 3 times and inked as well). 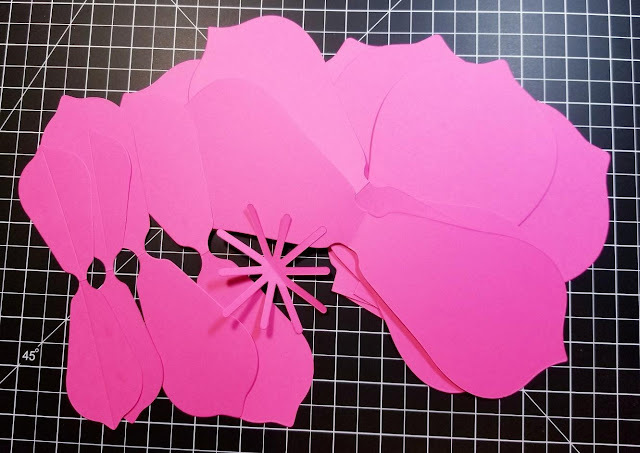 Now it was time to put the flower together – I layered all my die cut pieces making sure they look good and fit together before I started adhering them. 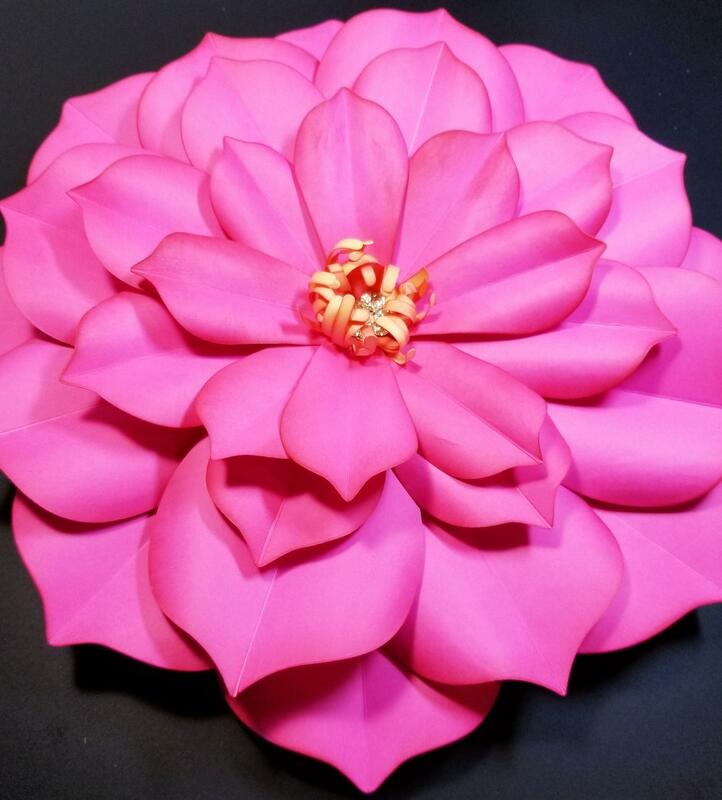 I adhered each layer of petals using tape adhesive starting with the largest petals finishing with the stamen in the middle. Once all of the layers adhered, I added gold glitter sequins in the middle of the stamen for some interest and my flower was finished! 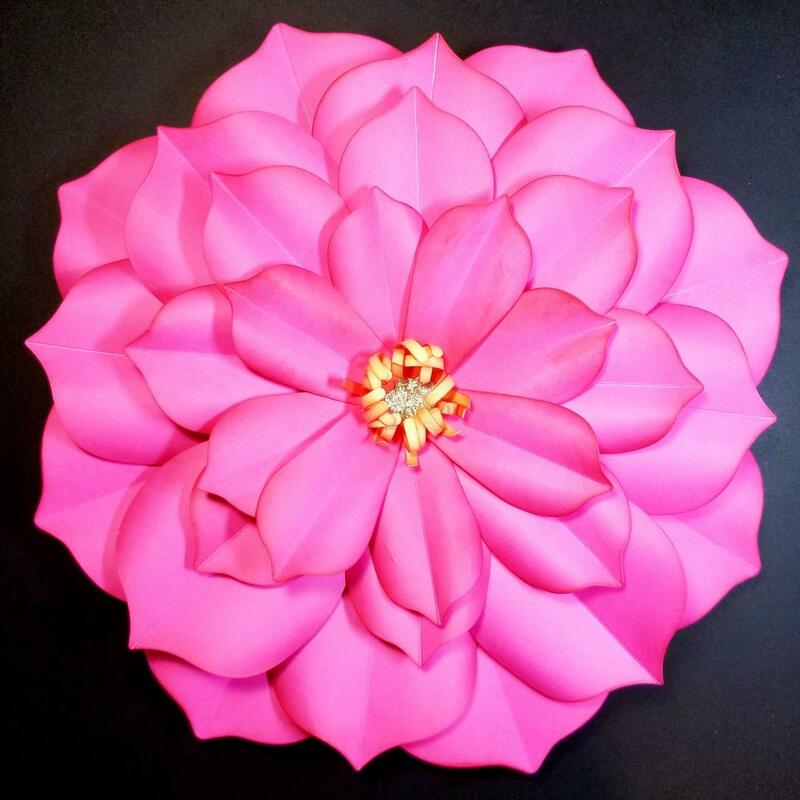 I love the way this lotus flower turned out and am planning to create few more in different shades of pink and maybe blue. 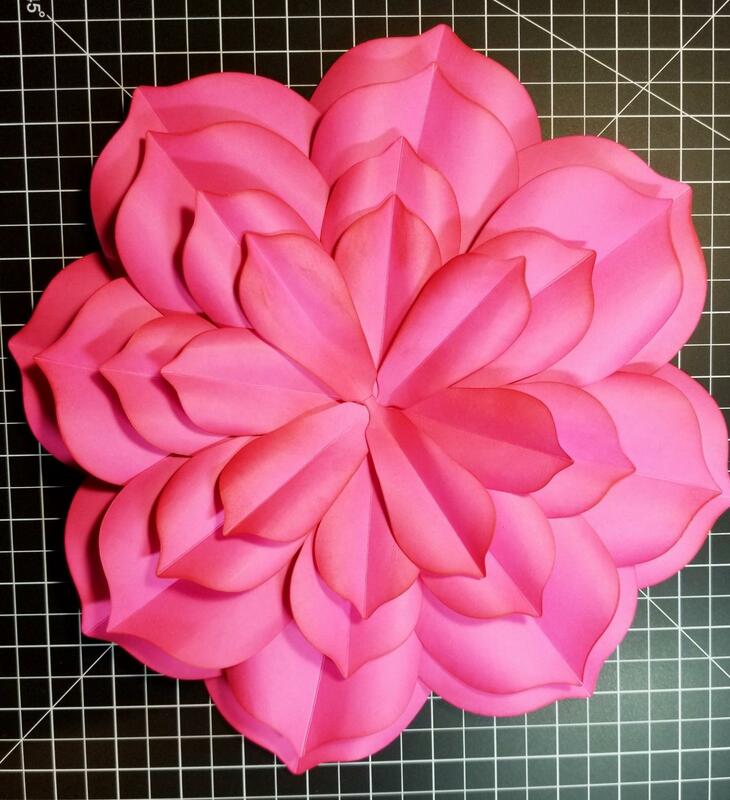 I really hope you like this project as much I as I liked creating it and hopefully, you give paper flowers a try! Thank you for stopping by today and I wish you all a Happy New Year!